PLDT SME Nation has declared the month of July as Small Business Month, a month wherein small and medium entrepreneur/s (SME s) had a chance to enhance and ensure their digital capabilities. PLDT SME Nation will provide activities, tools and equipments to empower every small business/SMEs. 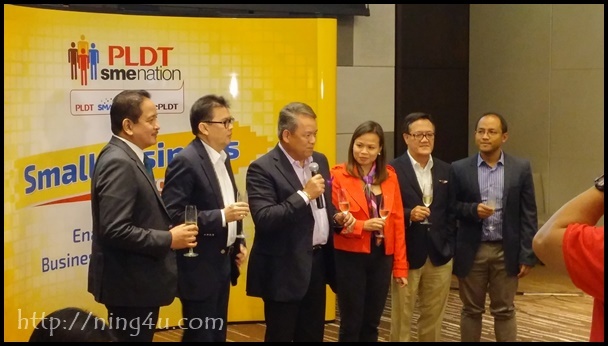 For SMEs digital business solutions and evolvement with customers, PLDT SME Nation will go around the nation featuring activities, with Empowering the Small Business! Caravan - a forum to bring small business to the digital era by providing them with the right and proper solutions. This is in partnership with the Philippine Retailers Association, Go Negosyo, PNB and Google. In line with this, PLDT SME Nation also announces the digital counterpart of its long running MVP Awards, The Bozz Awards. This will recognize the creative, hardworking and inspiring Filipino entrepreneurs. It will honor new generation of bossings ( aged 40 and below) who have been nurtured and bred by the culture of the digital age. The nominations and voting will be online. Visit pldtsme-nation.com.ph for more information.